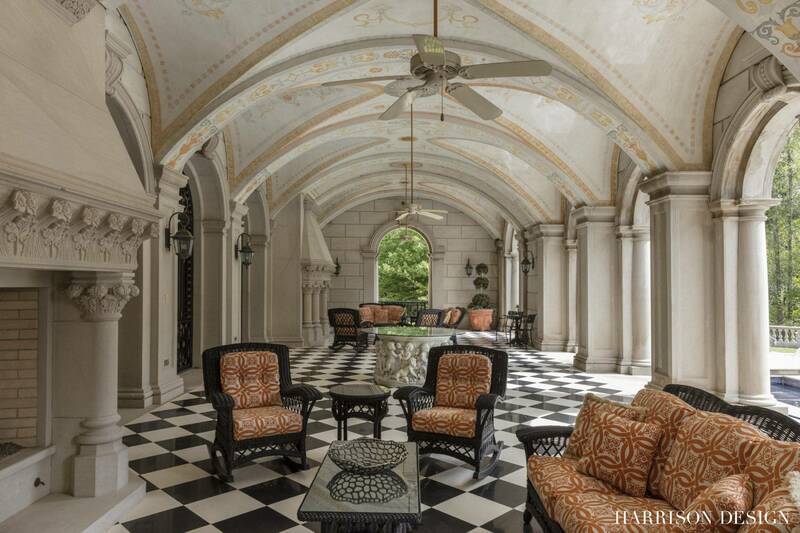 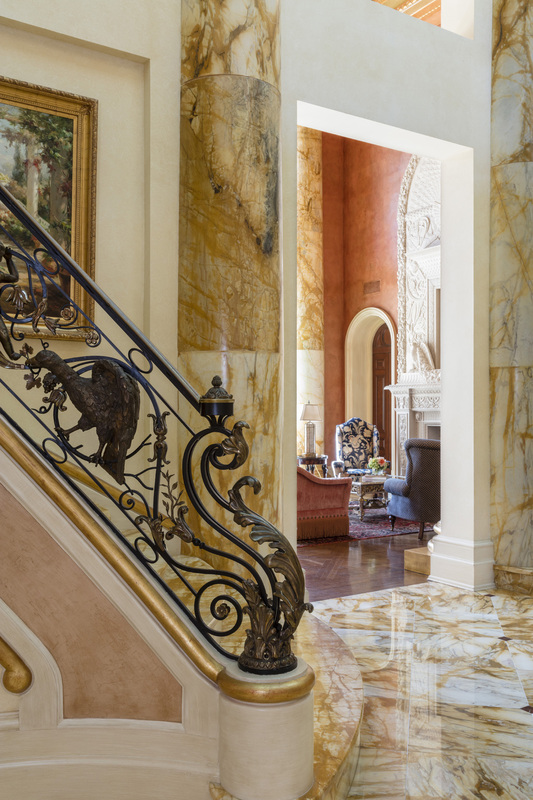 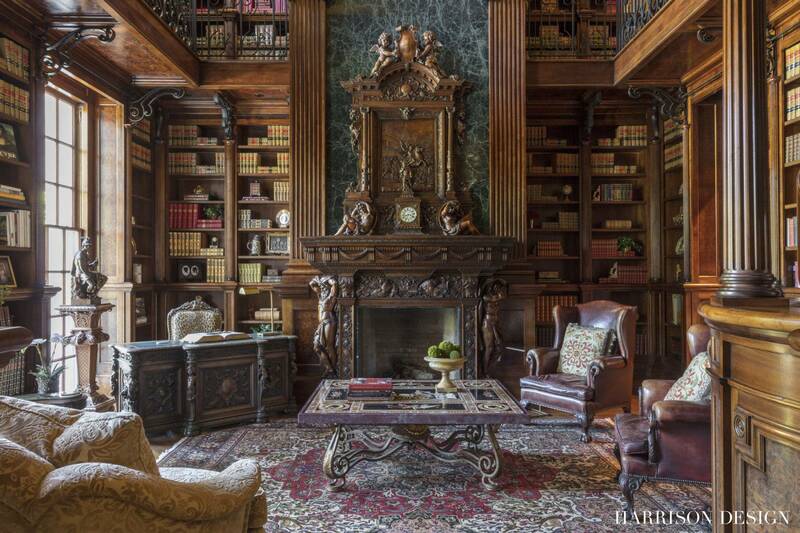 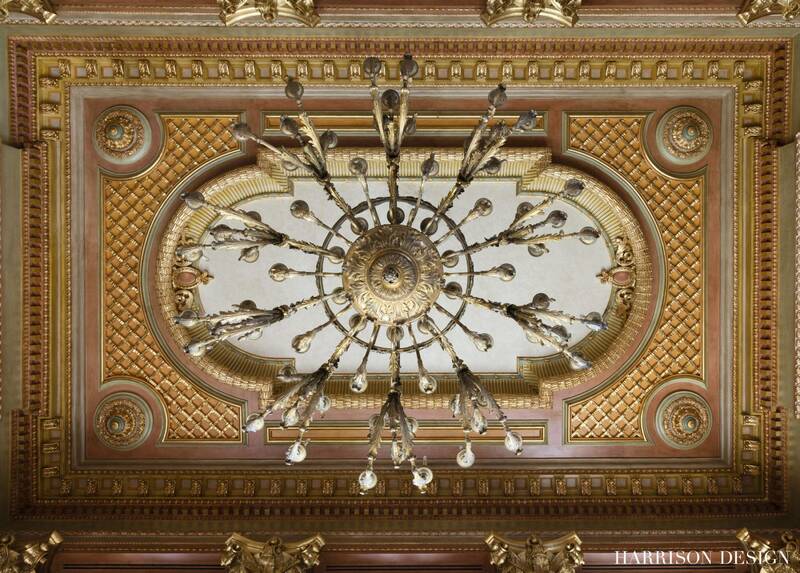 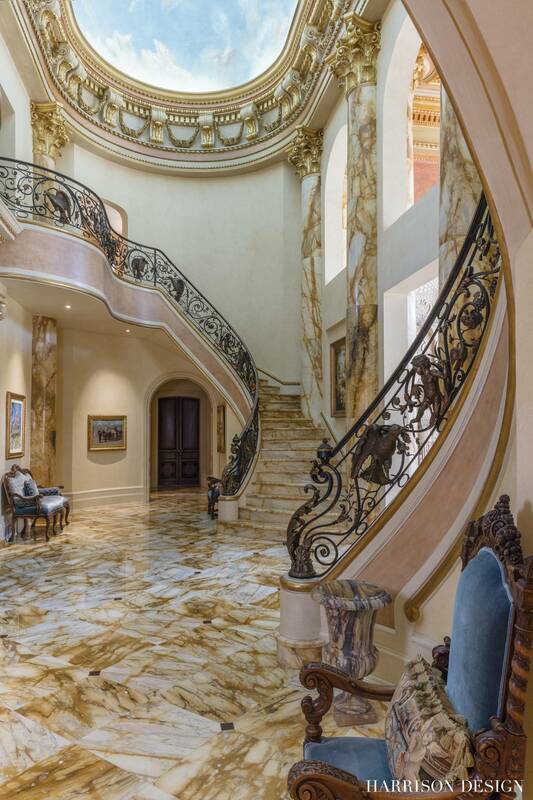 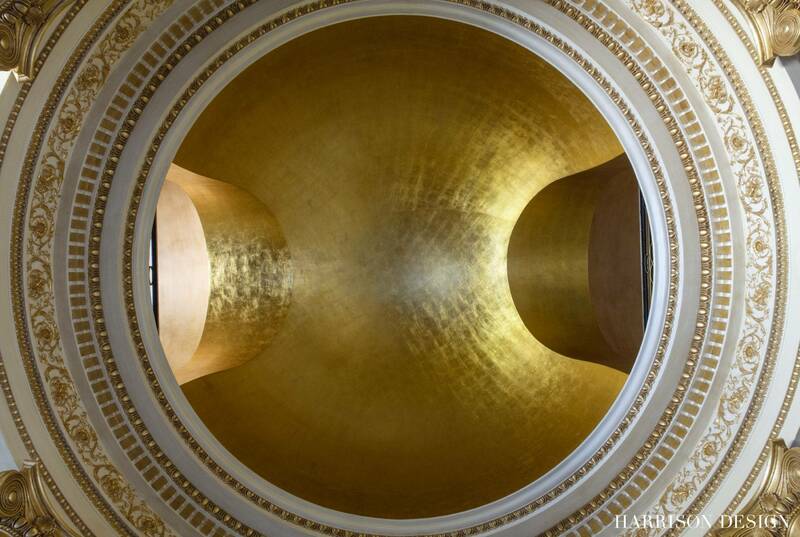 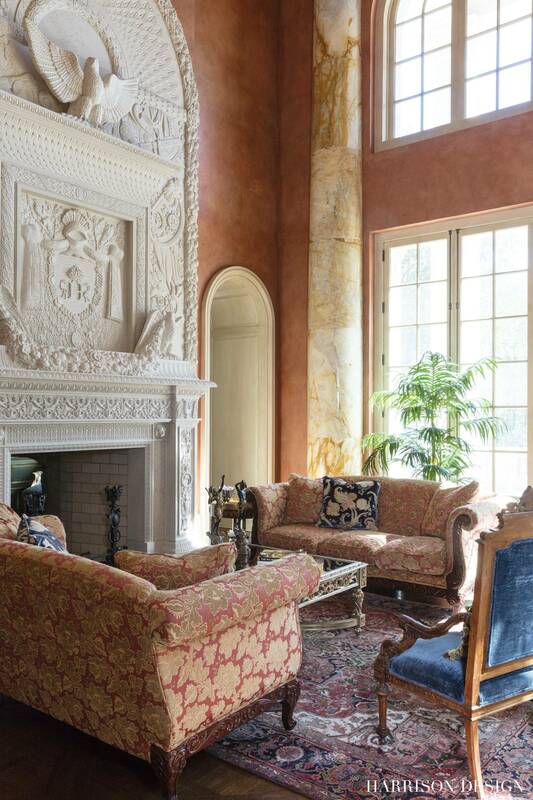 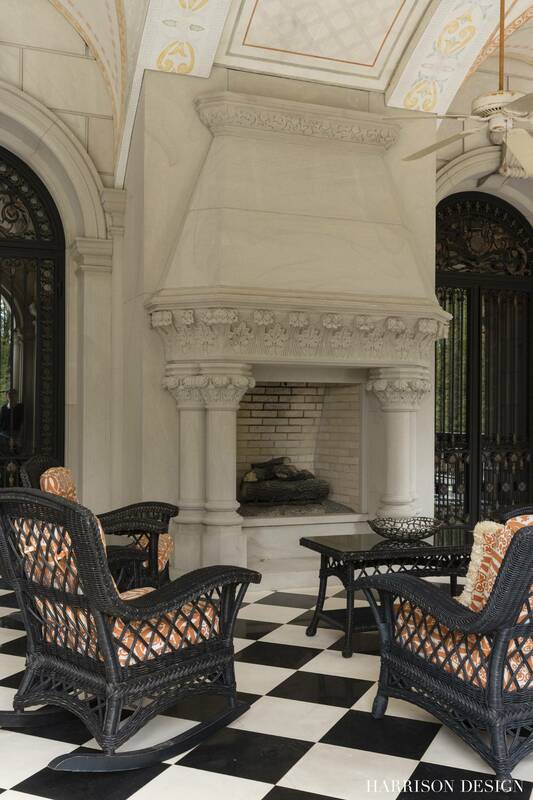 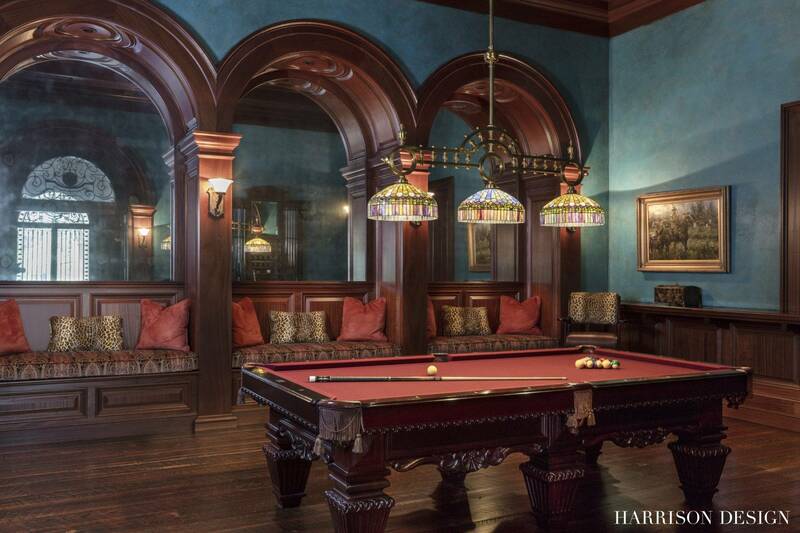 This Beaux-Arts mansion by Harrison Design has a grandeur uncommon to residential design. 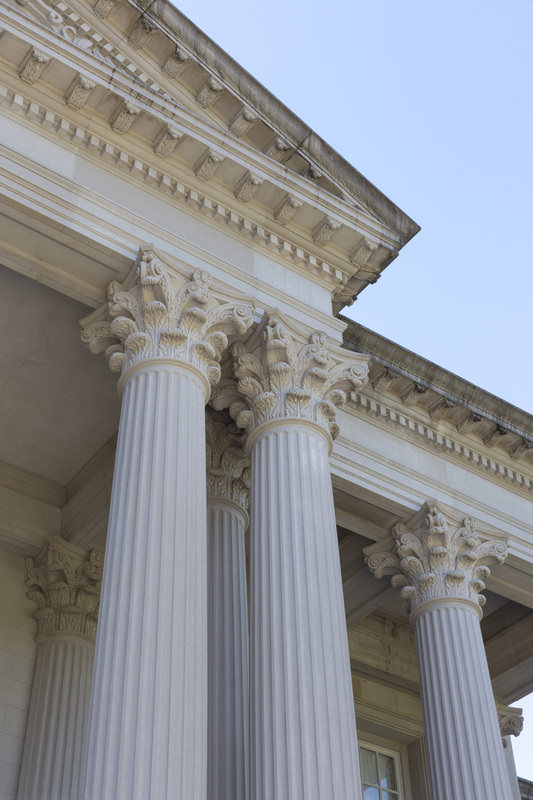 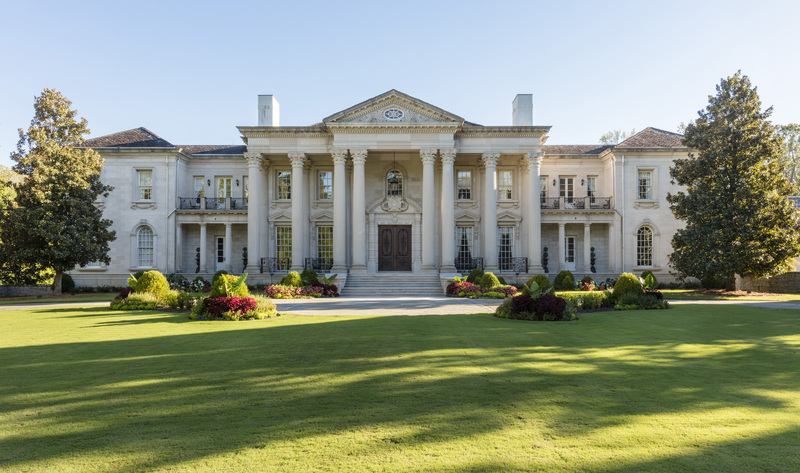 It took three years to quarry and sculpt the eight Corinthian columns, which are solid Indiana limestone and measure 27 feet high. 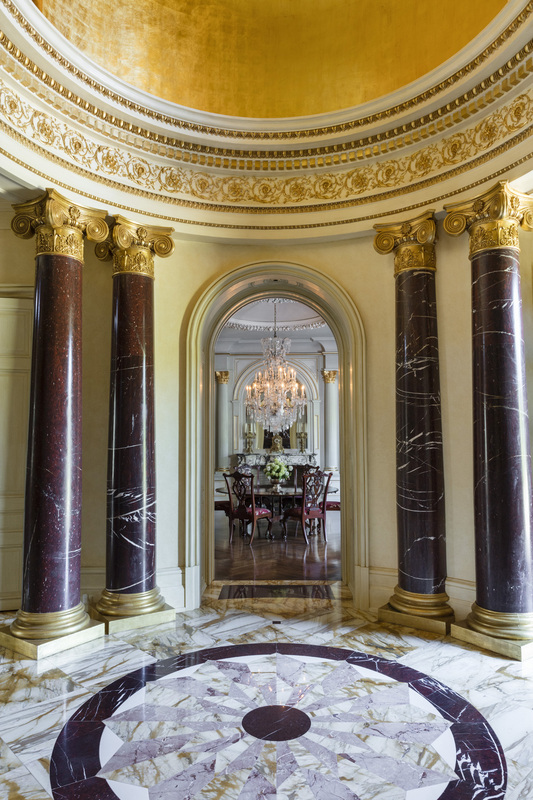 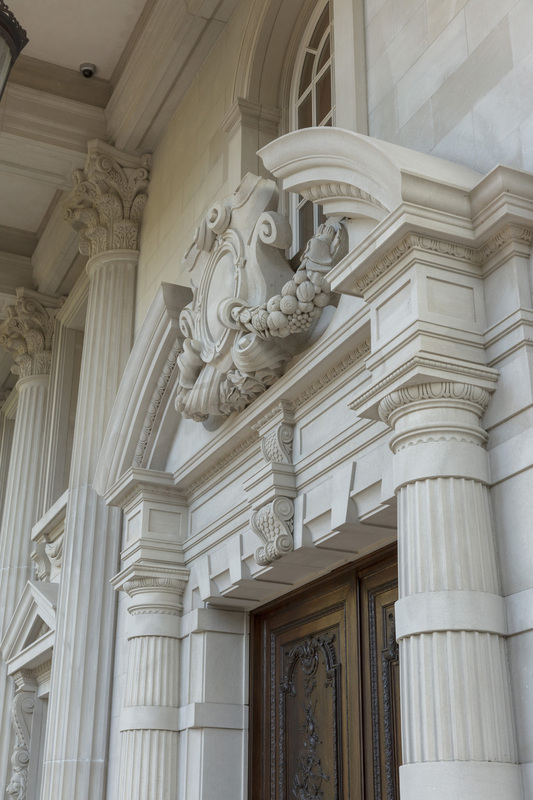 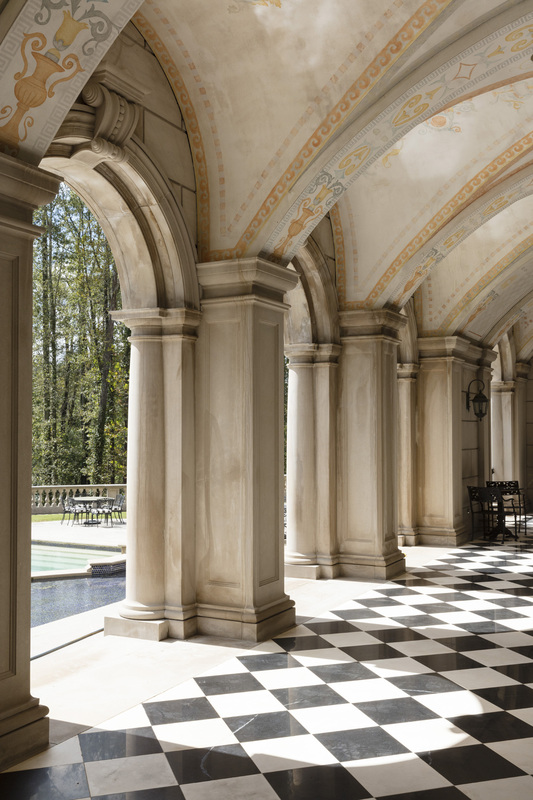 The ten-foot-tall entry doors are reclaimed from a French chateau and set among Doric columns and a classical broken pediment. 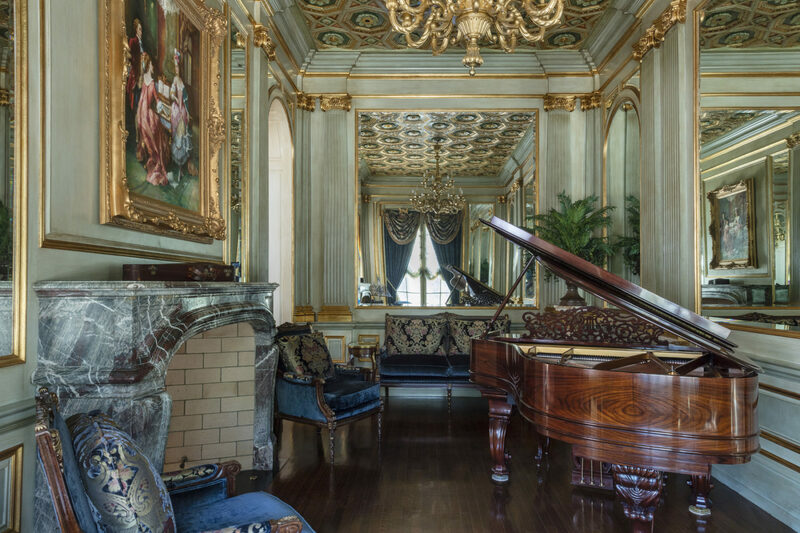 The interior is appropriately ornate, with exquisite workmanship, including trompe l’oeil ceilings and extensive decorative gilding. Jacques Brunet, an artist who learned the art of ironwork in his native France, designed the wrought iron and bronze work in the entry and library. 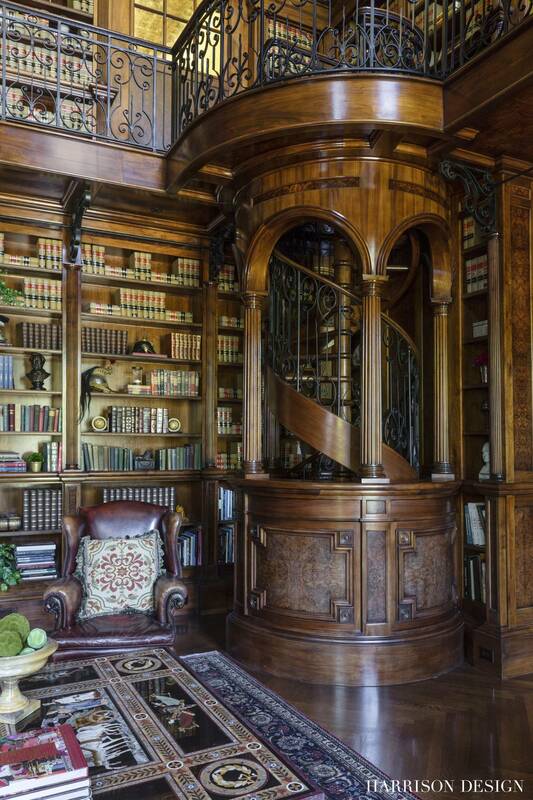 A lower bookcase revolves to access a hidden study. 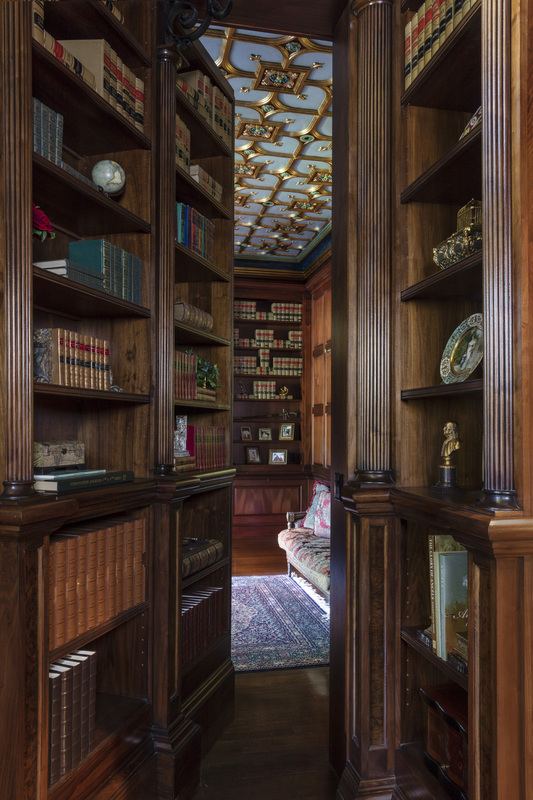 While the mantel is antique, the remainder of the library’s millwork was produced by a southern craftsman. 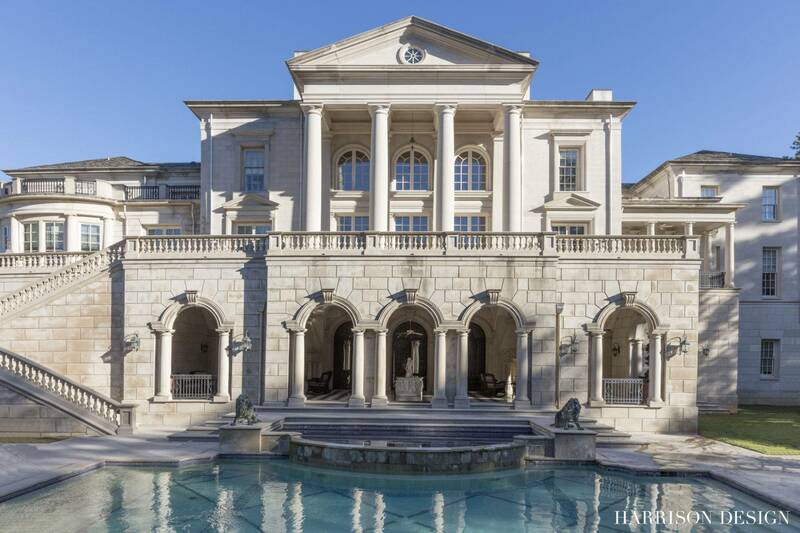 To view additional images of this project, please click here.